The Federal Bureau of Investigation (FBI) is released a request for proposal requiring to acquire construction services within the Continental United States (CONUS) and Outside the Continental United States (OCONUS). This solicitation will include multiple indefinite-delivery, indefinite-quantity (IDIQ) type of contracts, with a total ceiling of $2B. The Department of Justice, on the behalf of FBI, intends to award multiple contracts for construction services in a national level, within specified regions and pools. These IDIQ contracts involve construction maintenance, repair, and renovation projects to meet the FBI infrastructure within almost all the USA territory. This acquisition will award a minimum of three contracts per region/pool, with an estimated value between $750,000 – $75 million for each Task Order. 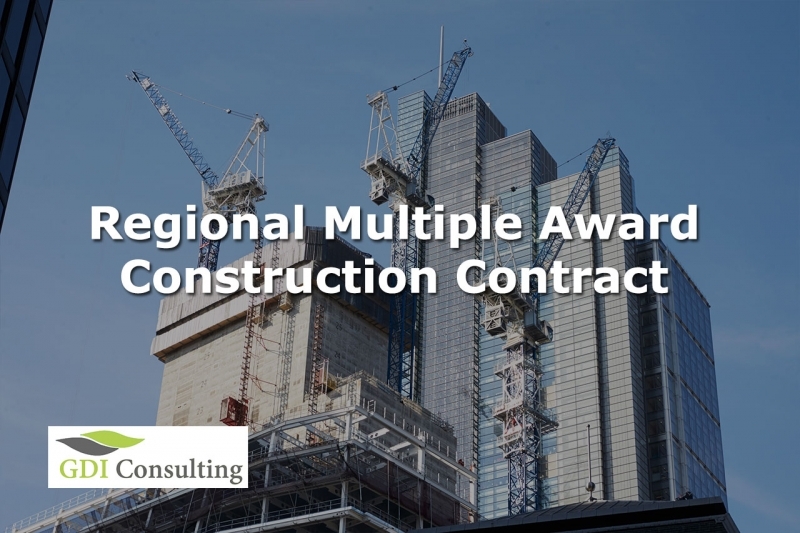 Every contract is anticipated to be for one base year with four one year option periods with a maximum duration of 5 years when the “Regional Multi-Award Construction Contract” combined contract reaches the maximum dollar value. In accordance with FAR 6., the RMACC will be an unrestricted competitive acquisition, Full and Open Competition with a partial Small Business Set-Aside. Moreover, all resultant contract awards are based on a two-phase approach with the with the Phase I being open to all the offerors that meet the minimum requirements including Past Performance, Management Approach, Security (Pass/Fail), and Organizational Conflict of Interest (Pass/Fail). The interested contractors that will successfully meet all the evaluation criteria under the first Phase will be considered for further evaluation under the second Phase. In general, all evaluation technical factors, other than price when combined, are considered significantly more important than price. As differences in technical ratings and relative advantages and disadvantages become less distinct, the difference in price between proposals are of increased importance in determining the most advantageous proposals. Proposals submitted by offerors should be in compliance with the format specified in the RFP, and any attempt to not follow the requirements will result in the removal or returning of the proposal to the contractor by the Contracting Officer. To be eligible to receive an award, contractors must be registered in the System for Award Management (SAM) database; otherwise, the Contracting Officer will proceed to award to the next successful registered contractor. Furthermore, all the contractors that are awarded an IDIQ contract shall attend a Post-Award Conference convened by the contracting activity in accordance with Federal Acquisition Regulation.